NEW YORK (Forex News Now) – The dollar dropped against the yen on Wednesday, as Japanese markets recovered from the initial impact of the fresh crisis on the Korean peninsula. 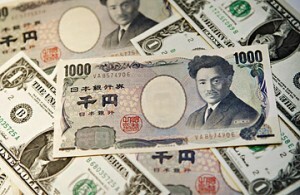 In late Asian currency market trading, USD/JPY hit 83.05, down 0.138 percent on the day. Despite the yen’s recovery, analysts warned that it faced risky times amid instability in the Koreas, which were rocked Tuesday when North Korea launched an artillery barrage on a South Korean island near the western border between the two countries. According to USD/JPY analysis, the currency pair was likely to touch key support around 8.150 and encounter key resistance around 85.00. The yen’s gain also came as FX traders awaited the monthly report on the Japanese trade balance, to be released Thursday. Elsewhere, the yen dropped against the Australian dollar: AUD/JPY traded at 81.15, up 0.372 percent, according to intraday analysis.